Heidi Polman is the author of LDS-themed books I Can Love Like Jesus; A is for Abinadi: An Alphabet Book of Scripture Heroes; A is for Adam: An Alphabet Book of Bible Heroes; A Mother’s Greatest Gift: Relying on the Spirit as You Raise Your Children; The Two-Minute Marriage Project: Simple Secrets for Staying in Love; and The Two Minute Secret to Staying in Love. 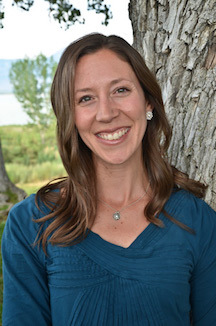 She holds a master’s degree from Wake Forest University and a bachelor’s degree from Brigham Young University. She is a member of The Church of Jesus Christ of Latter-day Saints and lives in Utah with her husband and children. This page was last edited on 18 March 2018, at 21:56.